Room Escape 50 Rooms 5 Level 33 Walkthrough – how to solve the puzzle logic clue and number codes on each room level ! 50 rooms, 50 challenge, waiting for you to escape! If you love puzzle games, you will not miss such a wonderful challenge. 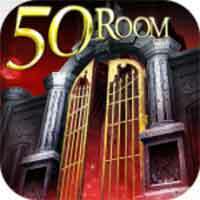 Classic Escape Game “Room Escape: 50 rooms V” is here ! It is a classic puzzle game , If you like the challenge must not miss it!